Maurits BP10 succesful in Tolbert! Maurits BP10 successful in Tolbert! Approved BPS stud Maurits BP10 and Bennie van Es obtained a beautiful score of 65,13% in the Intermediaire I, which resulted in a second place. Maurits BP10 is a son of Willem van Nassau and was champion of the 2014 and 2015 Stallion Inspection, of the BPS. 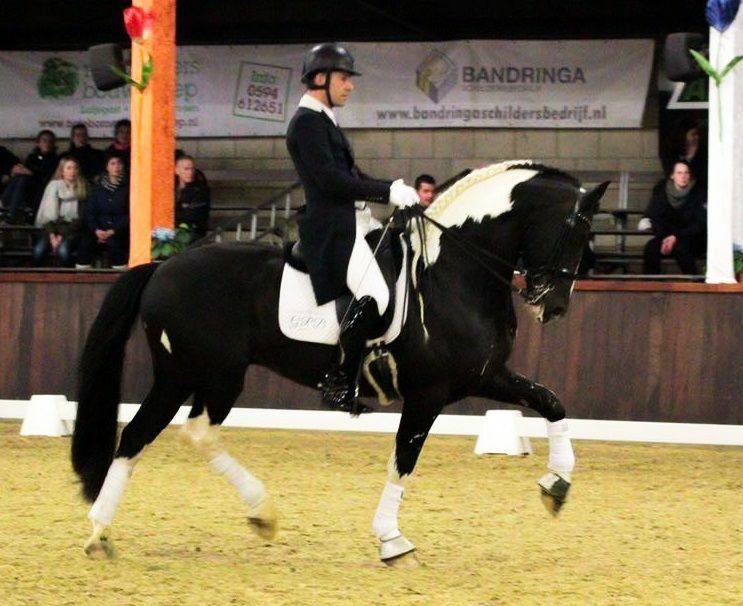 Maurits BP10 will appear at the upcoming BPS Stallion Inspection to present a musical program. Even more reason to visit the inspection in Assen, on April 1st! Maurits BP10 is owned by T. Solberg from Sandnes, Norway. https://barockpintostudbook.com/wp-content/uploads/2017/01/Maurits-BP10-Tolbert.jpg 606 743 admin https://barockpintostudbook.com/wp-content/uploads/2017/11/BPS-home.png admin2017-01-31 18:43:592017-03-09 19:35:53Maurits BP10 succesful in Tolbert!